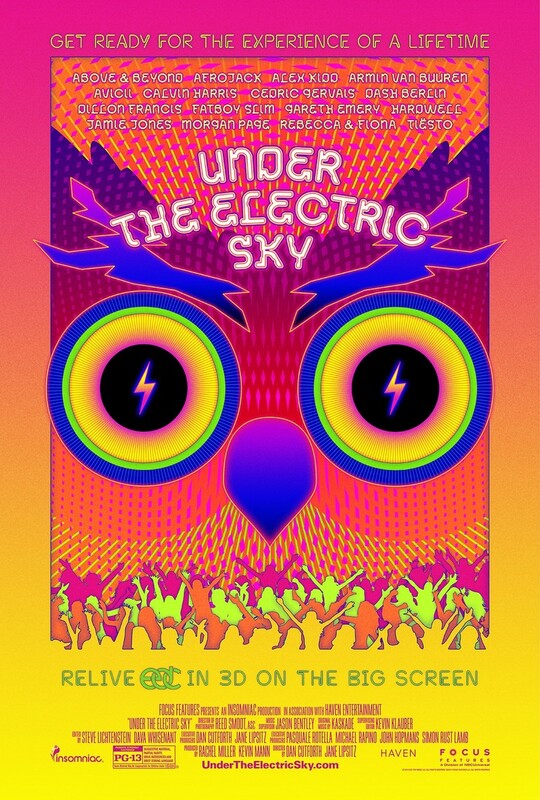 Under the Electric Sky DVD and Blu-ray release date was set for September 2, 2014. The music festival Electric Daisy Carnival is a three-day event filled with a dazzling array of musicians, dancers, rides, pyrotechnic artists and more. From its fairly humble origins in 1997, when it entertained several thousand people in the Los Angeles area, the festival has grown by leaps and bounds to become the largest festival of its kind in North America, entertaining more than a third of a million people and attracting interest from around the world. While only being there in person can fully capture the feel of the festival, the documentation of this event for film has been extensive and intricate. From the expert musicianship to the colorful splendor of the lights and fireworks, this is an event that deserves an even wider audience.